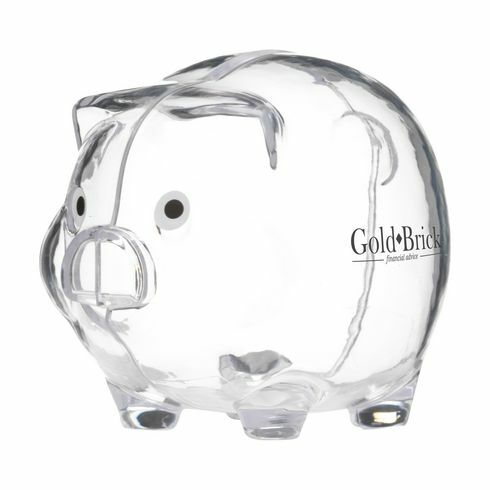 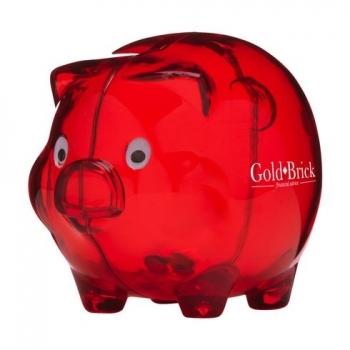 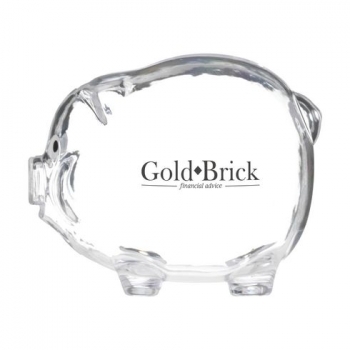 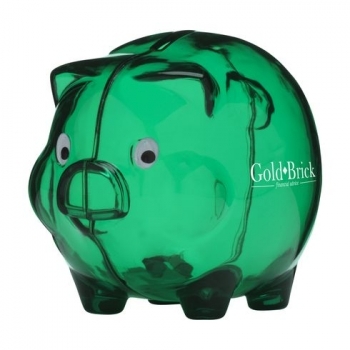 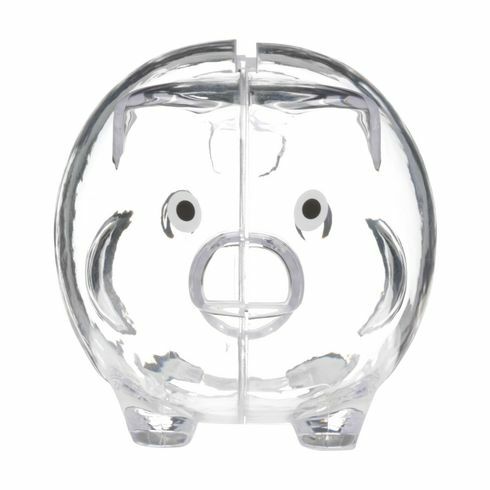 Piggy bank made of transparent colored plastic. Dimensions: L 7.8 x H 6.3 x W 6.6 cm. Weight: 31 g.